This week I was flying in a helicopter over Germany and France filming material for my next TV series, which will transmit in Autumn 2012. And I was most affected by a place I have been many times before – the battlefield of the Somme. (And before you ask the relevance of the Somme to WW2, I should say that I was there because Hitler was wounded at the battle of the Somme in 1916). The difference with my previous visits to the Somme was that this time I could see the whole sweep of the battlefield from the air. And what strikes you from up in the sky are the numerous graveyards dotted about the fields – that, and the giant memorial to the Missing at Thiepval. Cumulatively, all this is hugely poignant and one can’t help but be moved. The 1914-18 war was the first conflict in which large numbers of British soldiers simply vanished – blown into thousands of pieces by artillery or mines. Hence the memorial at Theipval, designed by Sir Edwin Lutyens. Just over 70,000 British and South African soldiers are named on the memorial – and none of them have any other known grave. All this got me thinking about Auschwitz. And that terrible as the Somme was, many more people died at Auschwitz and yet they have no memorial like Thiepval at the site of their deaths. Auschwitz, it’s sometimes forgotten, is the site of the largest mass murder in the history of the world, and also thus the largest graveyard in the history of the world. The remains of more than a million people lie here – their ashes either thrown in the ground or in the nearby rivers. 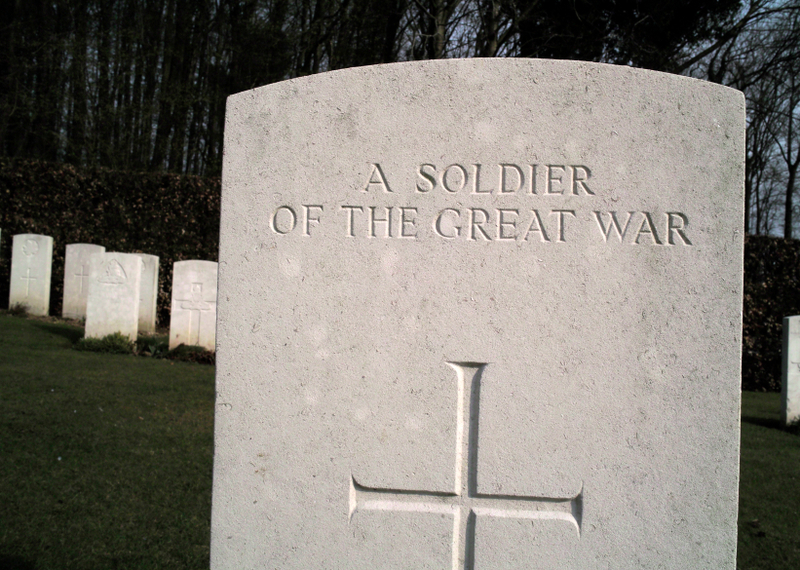 Why are the dead of the Somme so carefully commemorated, and yet there is no equivalent memorial at Auschwitz? I have visited this memorial and I can testify to the fact that it is extremely moving. I only wish I had the opportunity to view it from the air. Looking forward to seeing it on tv. I think we should just be amazed that they are commemorated at all. Too often we as human beings simply forget the sacrifices that others have made for us, moving on with our own lives. Thank god for the decent men and women who did what was right at the Somme.